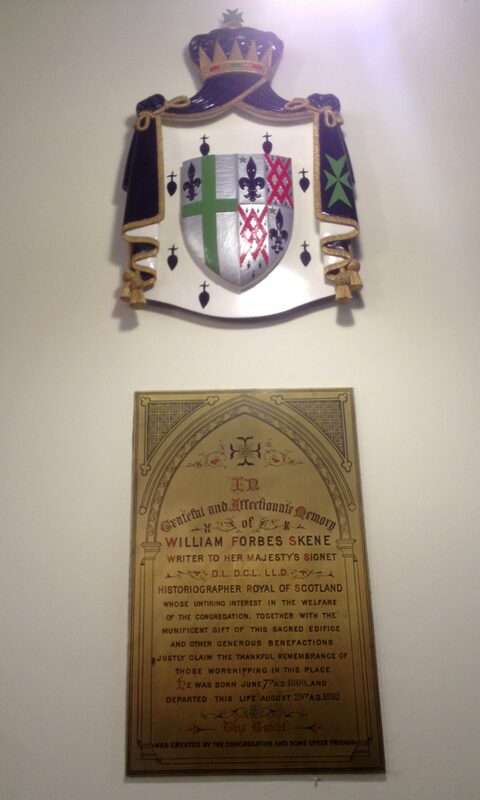 The Armorial Embellishments – St Vincent's Chapel, Edinburgh, the village church in the heart of the city. 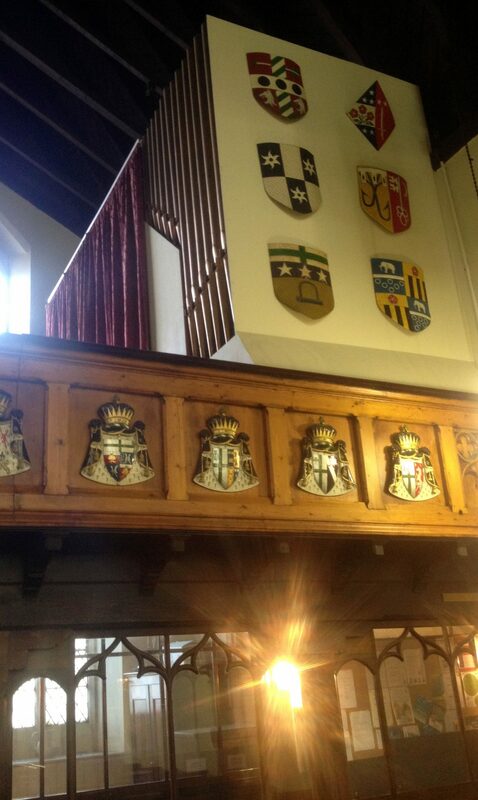 St Vincent’s is adorned with Modern European Heraldry made and erected between 1971 and 1996 whilst under the control of Lt Col. Robert Gayre of Gayre and Nigg as The Commandery of Lochore of the Military and Hospitaller Order of St Lazarus. 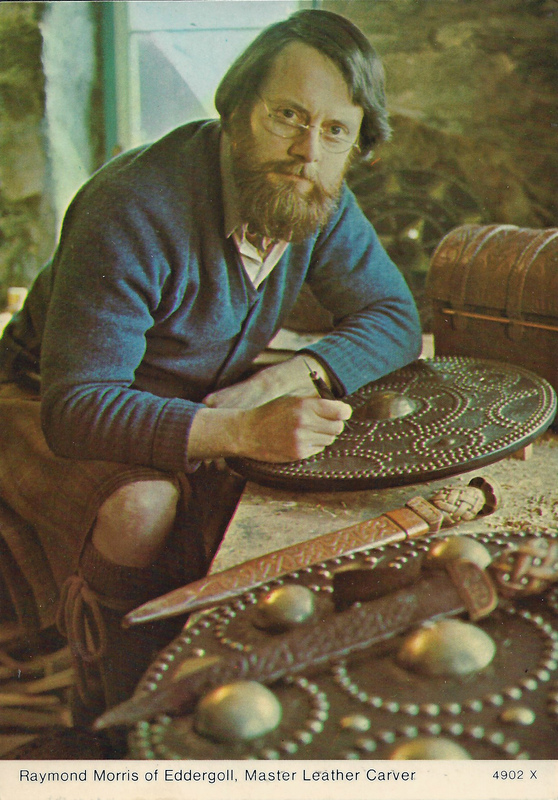 The bearer of each of more than 150 armorial shields and achievements is given in the History of St Vincent’s booklet. It was most recently updated in 2014, and is available in St Vincent’s for £3.00. 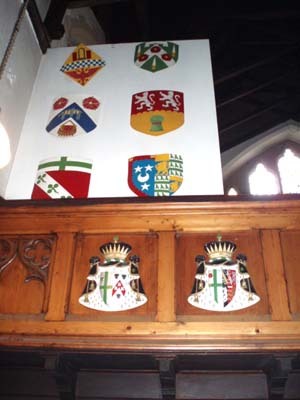 The achievements mounted on the Gallery of St Vincent’s, above the nave – left to right: The Lord de Saumarez (South Africa); The Lord Mowbray of Stourton (England); The Much Honoured Lt Col R Gayre of Gayre and Nigg, Baron of Lochoreshyre (the term ‘much honoured’ was the traditional way of addressing the laird); Paul Bertrand de la Grassiere (Grand Capitular);The Duke de Brissac (France); HRH the Duke de Nemours (46th Grand Master; The Much Honoured Lt Col R Gayre of Gayre and Nigg, Baron of Lochoreshyre (Grand Referendary); Guy Coutant de Saisseval (Grand Chancellor); The Marquess of Huntly (Scotland); The Lord Dunsany (Ireland); Sir Hannibal Scicluna (Malta). The south wall of the nave of St Vincent’s: The Achievement of Robert Gayre of Gayre and Nigg, Hereditary Commander of Lochore, above the memorial to William Forbes Skene, the building’s benefactor. 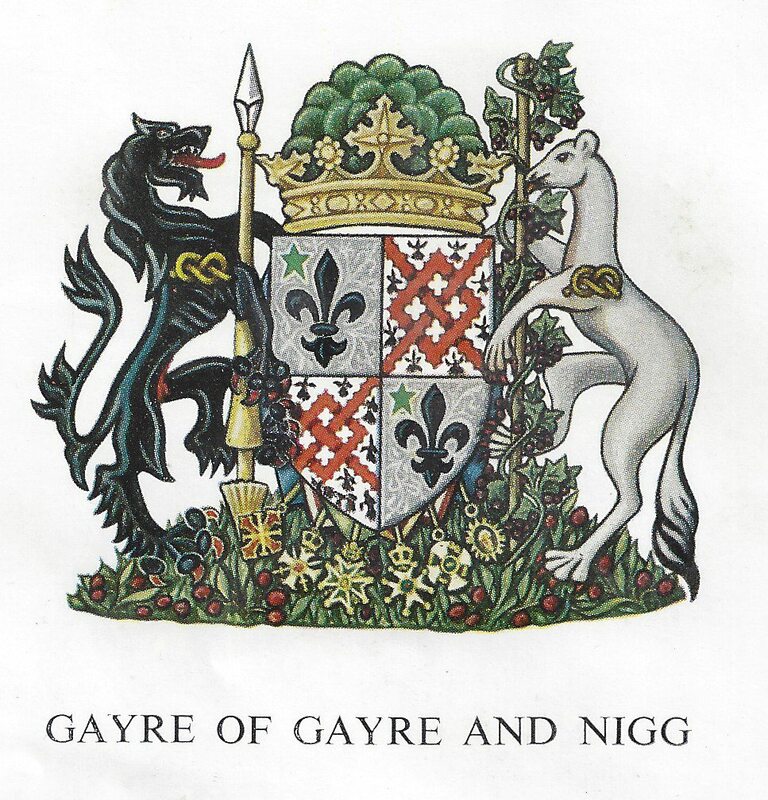 Gallery of the North Aisle – left to right: Cecil Evelyn; The Much Honoured Robert Gayre; HRH Prince Philip Francis of Bourbon and Bourbon, Prince, Grand Master; The Royal Arms of Scotland; HRH Prince Charles Philip of Orleans, Duke of Nemours, Vendome and Alencon; Reinold Gayre of Gayre and Nigg, Younger, Deputy Commander of Lochore (label); Philip Arbuthnot. 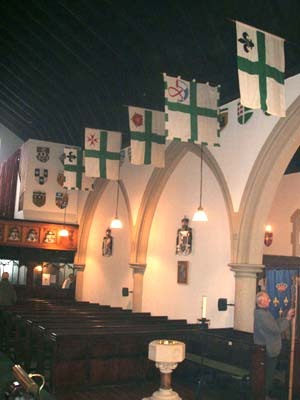 The banners over the nave of St Vincent’s. There are two gonfannons at the east end of the north aisle. These represent the Kings of France and the Commandery of Lochore. 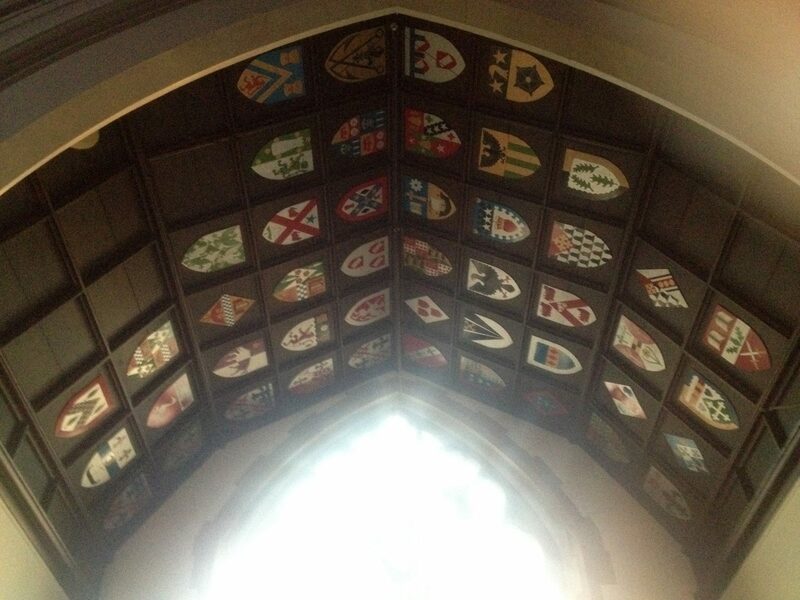 THE FORTY SEVEN CHANCEL CEILING SHIELDS. Details are in the History of St Vincent’s booklet available in the church for £3.00. 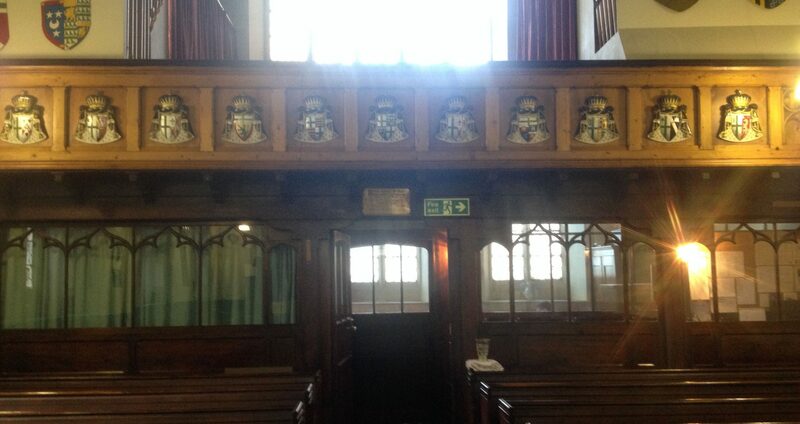 The Armorial Display in St Vincent’s on 1st August 1976. More were added after this.